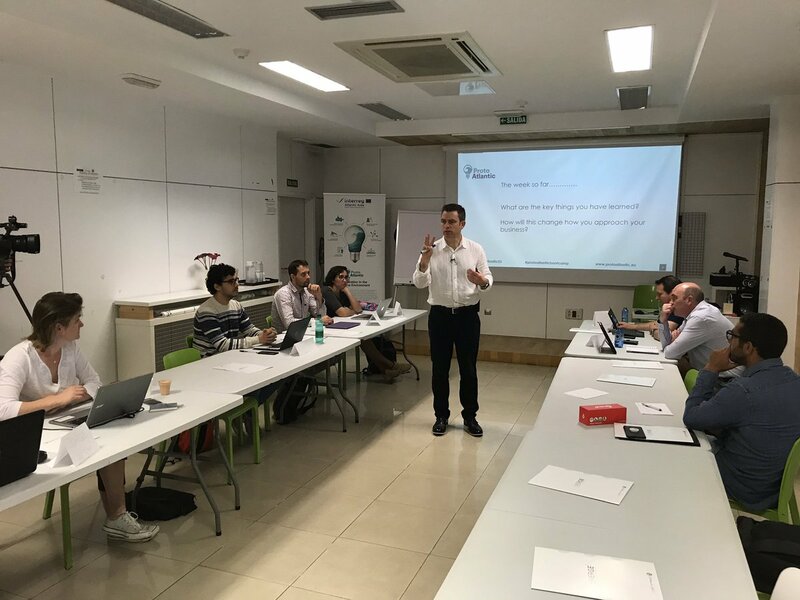 Phase 1 of the ProtoAtlantic Accelerator Program, Boot-Camp, concluded on Friday 30th November 2018, following a week intensive series of five workshops in the Palet Express, Las Palmas de Gran Canaria. 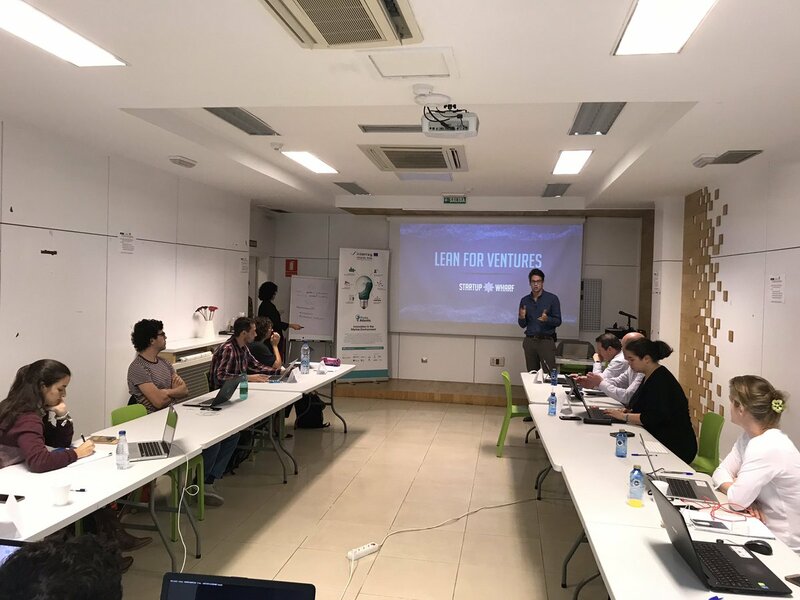 Previous to this, two workshops were hosted simultaneously in each partner region (Cork, Porto, Brest and The Canaries) concerning Business Model's for start-ups and entrepreneurs in the marine sector, and the fundamentals of Lean Start-Up. Several start-ups/entrepreneurs from each partner region were invited to attend the week-intensive series of five workshops following the first two regional workshops. 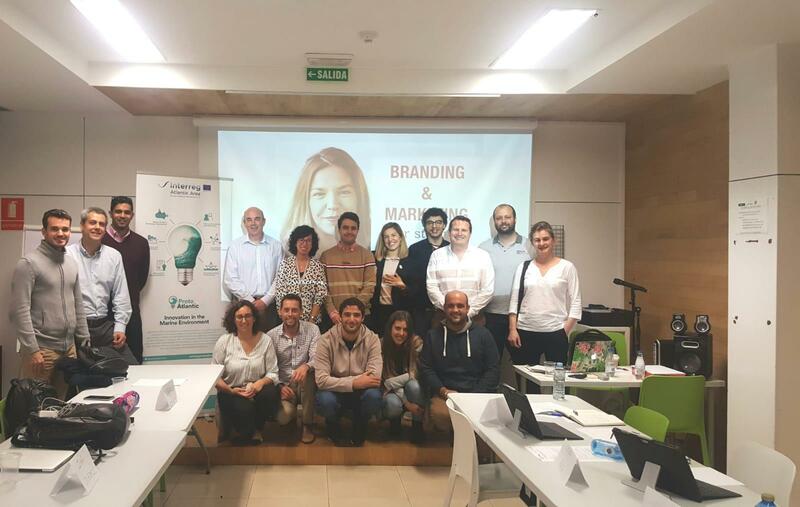 Minerva Pérez Ferreras, a marketing consultant and content marketing expert, delivered the first workshop, on Branding and Marketing, on Monday 26th November 2018. Minerva's experience working in marketing and branding with major brands such as L'Oréal, Biotherm, Ralph Lauren and Armani, in digital marketing with El Armario de la Tele, and as a consultant for clients such as Correos, Mahou San Miguel and Félix Solís was extremely beneficial for workshop participants as they look to advance their start-ups, and create brand presence. 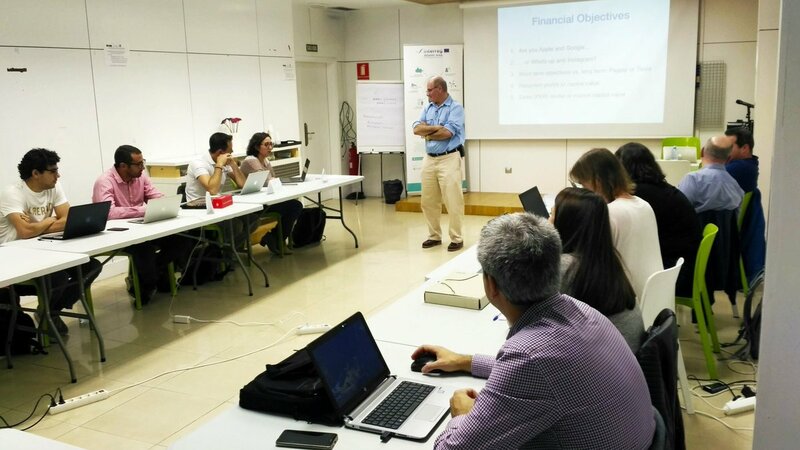 The second workshop was delivered by José M. de la Vina, and concerned Economic-Financial Plans for marine start-ups/entrepreneurs. This workshop took place on Tuesday 27th November 2018. José has an extensive background in the maritime and marine sectors, having commenced his career on a shipyard, and progressing to work as an associate professor in the naval architecture and shipbuilding department in UPM. José is currently the vice dean of the Spanish institution of naval architects, marine engineers and oceanic engineers (COIN). Evidentially, economic-financial plans are a quintessential aspect and consideration for any marine start-up/entrepreneur, and this workshop once more provided participants with critical information and ideas to advance their businesses. Enrico Milovan, director of StartUp Wharf Ltd., facilitated the third workshop regarding Lean Management on the 28th November 2018. Prior to his career with StartUp Wharf Ltd., Enrico focused on growth and business model innovation with several companies, including Accenture, Deloitte, PwC, and Inzenka. Enrico's expertise in designing and implementing innovation strategies with start-ups/entrepreneurs, and his skills in launching internal start-ups to market were extremely beneficial for the participants. The fourth workshop concerned Partnership and Leadership, and this session took place on Thursday 29th November 2018, and was delivered by maritime technology expert Hannan Carmeli. Hannan has over 30 years of vast and multi-disciplinary experience in hi-tech companies and senior management, and, in addition to this, he has extensive naval experience. 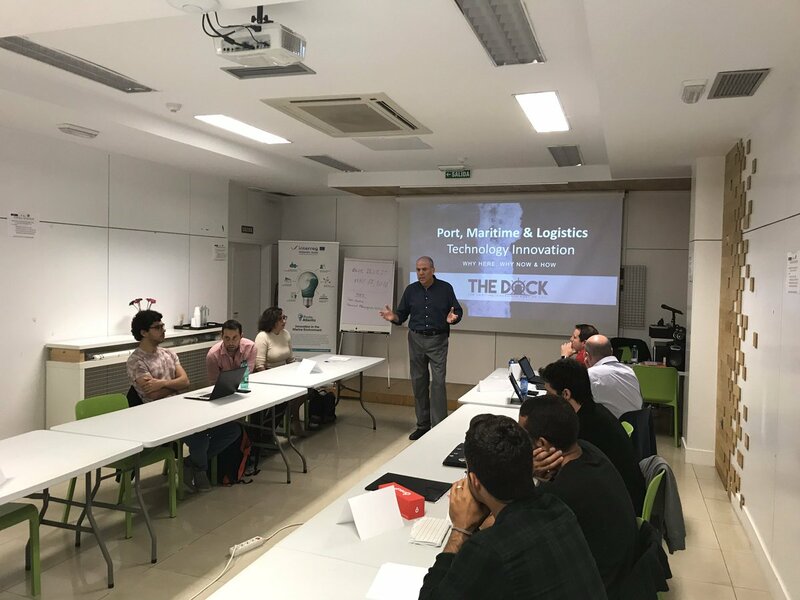 Most recently, Hannan founded theDOCK Innovation Hub which focuses on harnessing Israel’s technology assets to promote innovation for port, maritime and logistics sectors. Hannan's workshop on Partnership and Leadership was essential for all participants in attendance, and this was further enhanced by Hannan's extensive background in the maritime and marine sectors. Finally, the week intensive series of workshops concluded on Friday 30th November 2018, with expert Liam Fitzgerald delivering a workshop on Pitching to Investors. Liam has extensive experience and qualifications in management, financial management, leadership, strategy and innovation, and he is currently marine incubation manager in University College Cork, an Enterprise Ireland funded role with a national remit to support the development of internationally scalable businesses in the marine sector. Liam has been involved in start-up and early stage businesses across multiple sectors since 2005, and was part of the senior team in the Rubicon Centre, Cork Institute of Technology, where he worked with in excess of 100 high quality start-ups, leading entrepreneur development programmes like Exxcel and New Frontiers. Liam's workshop on Pitching to Investors was extremely beneficial to all participant start-ups/entrepreneurs, who received personalised advice on pitching techniques and areas to improve. 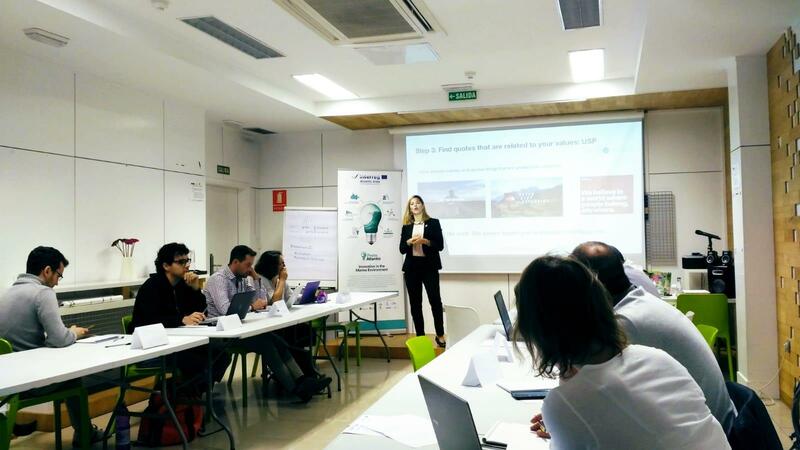 Phase 1 of the ProtoAtlantic Accelerator Program is now complete following the intensive and interactive week of workshops in Las Palmas de Gran Canaria; however, applications are still being accepted for start-ups/entrepreneurs interested in taking part in Phase 2 Mentorship, which will see selected applicants partake in a twelve-week mentorship programme. Interested candidates can apply here by selecting "Mentorship", as well as any other activities on offer that they are interested in.